Samsung has launched the Galaxy Note 5 in India, The Galaxy Note 5 has been priced at INR 53,900 for the 32GB variant and INR 59,900 for the 64GB variant. Galaxy Note 5 sports a 5.7-inch QHD AMOLED display and is powered by an Exynos 7422 64-bit octa-core processor paired with 4GB of LPDDR4 RAM. On the photography front, it offers a 16-megapixel f/1.9 rear camera with optical image stabilization, supplemented with a 5-megapixel front camera. 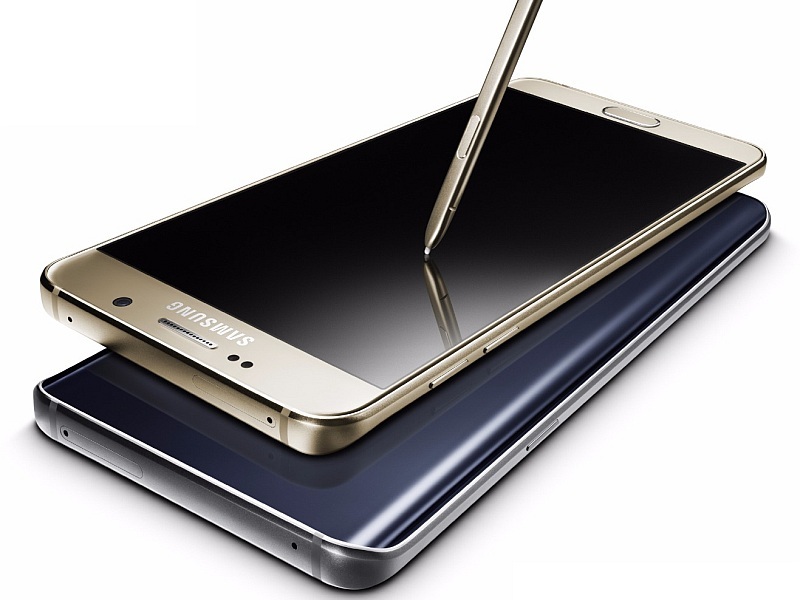 Not to mention the company’s latest S-Pen features and a fingerprint scanner too. In terms of connectivity, the device offers Wi-Fi 802.11 a/b/g/n/ac, dual-band, Wi-Fi Direct, hotspot, GPS, Bluetooth 4.2 and support for NFC. The 32GB and 64GB variants of the Note 5 priced at INR 53,900 and INR 59,900 respectively. The smartphone will be available to purchase from September 20th and will be sold in black, gold and silver color options. Samsung is giving a free wireless charging dock for all customers who pre-order before September 19th.